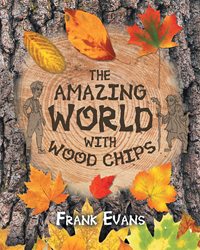 Recent release “The Amazing World With Wood Chips” from Page Publishing author Frank Evans is both entertaining and enlightening; this work tells a vividly artistic life lesson. Frank Evans, a father, grandfather, family-man, devoted writer and author, has completed his new book “The Amazing World With Wood Chips”: an original and philosophical work about life, dreams, courage and understanding. Published by New York City-based Page Publishing, Frank Evans’s unique work will leave the reader open-minded and revived. “There’s a place we all will go far beyond the world we know. Close our eyes we fall asleep deep in dreams things might creep. But mostly dreams of life we know there’s a time when dreams will go. Tall or wide, short or small, amazing things come to us all. Good or bad, happy or sad, place on paper dreams you have. For all those little wonderful things now you have something to bring. Bring to others, bring to lite, all your dreams you have at night. Give us all something to read. Readers who wish to experience this mesmerizing work can purchase “The Amazing World With Wood Chips” at bookstores everywhere, or online at the Apple iTunes store, Amazon, Google Play or Barnes and Noble.